Lincolnshire NHS Talent Academy offers proactive services to aid recruitment and skills development of our current and future workforce, whilst also ensuring the portability and integration of skills across the health and care system. 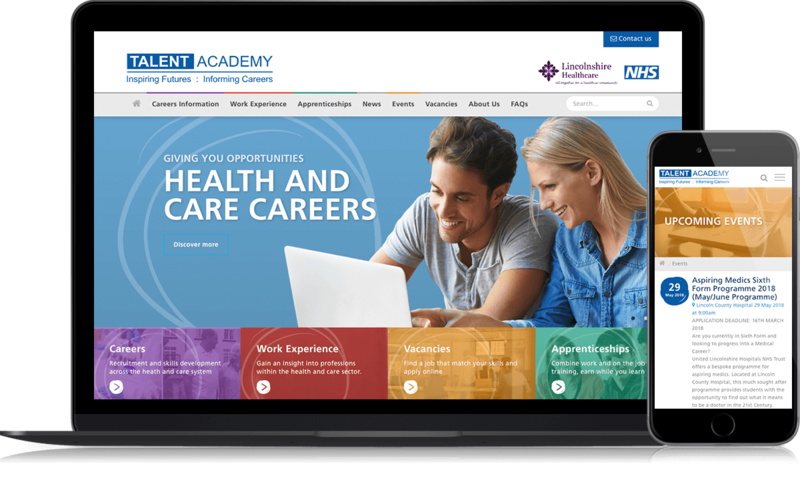 With a focus on delivering a website that positioned Lincolnshire NHS as a leading provider of healthcare recruitment and training, we designed and developed a clean, modern and strategic website that would allow existing and potential customers to engage with the content, information and services. 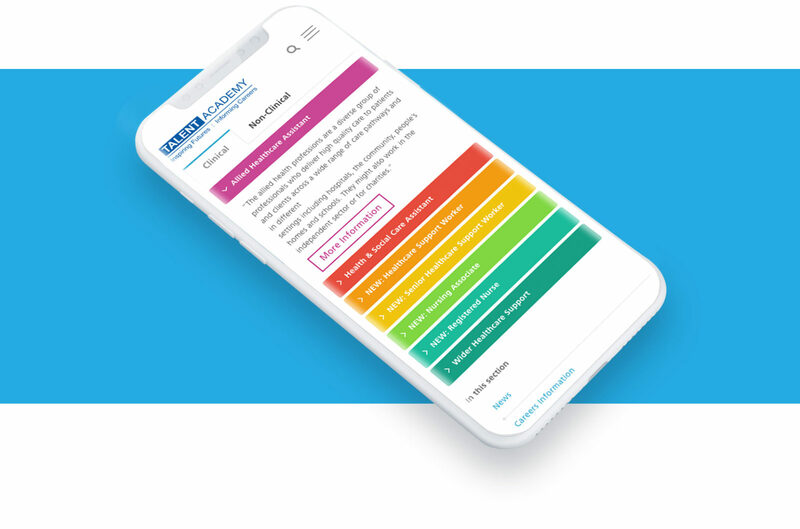 Fully optimised for desktop, tablets and smartphones the user experience delivers an engaging and informative journey for the services and information available.